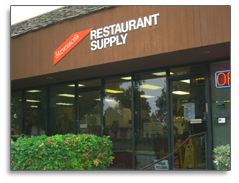 Stevenson’s Restaurant Supply was started in the sleepy beach community of Ventura, California in 1948. 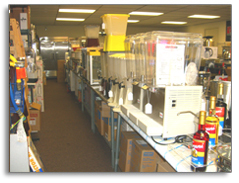 Since that time it has grown up with the community to be a large stocking dealer serving the entire Foodservice industry. We service anyone that needs to feed people including restaurants, churches, schools, bars, social organizations, hospitals, chains, etc. We are a member of the “NISSCO” buying group which gives us the buying power of over a billion dollars with our other buying group partners. 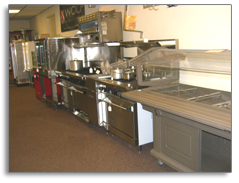 We handle all items of equipment and small wares, and in this case, this even includes the kitchen sink. We do not handle food or paper goods. Everything that goes into the kitchen and dinning room is available. We offer design layout and Health Department plans for any type of food establishment, either a new location or a remodel. 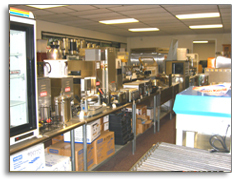 Our experienced staff can solve difficult problems and find the most efficient method or equipment to do the job. 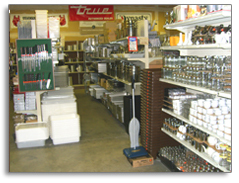 You tell us what you want to cook, and we’ll tell you what you need to do the job. We won’t sell you more than you need to do that job.